Tonight on the penultimate episode of season two of The Kickoff, join host Harry Broadhurst, Brandon Biskobing, Erik Watkins and Jason Teasley as they present their unique look at the worlds of college and professional football with their own blend of humor and intelligence. Technically, the coverage is strictly professional this week. The guys open the show by discussing the prop bets that they made last week before the game and then talk about the Big Game itself as Super Bowl 53 is now in the books. 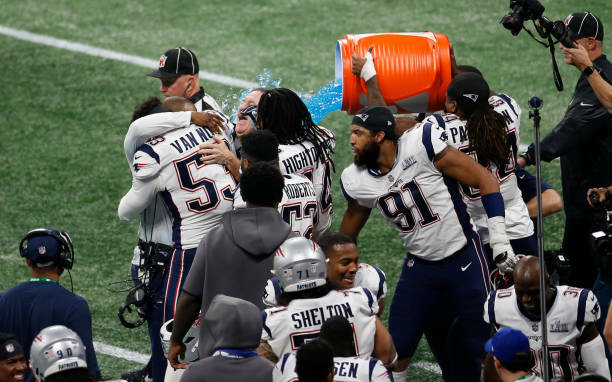 We break down all the key components as to why the New England Patriots have joined the Pittsburgh Steelers as the only six-time winners of the Lombardi trophy. In addition, most of the crew breaks down the launch this Saturday night in national prime time on CBS of the AAF. We talk who our rooting interests will be, what we expect out of the league and the quality of play we’ll hope to see. In addition, Erik takes the league to task on rule changes he feels may not be better for the game. All that and so much more this week on the Super Bowl wrap up edition of The Kickoff, a presentation of the W2M Network. Jason Teasley, the man, the myth, the legend, in his own mind. Fantasy football junkie and the residential evil ginger that brings his insights and opinions whether warranted or not.